Brighton is a residential bayside suburb 11 km. south-east of Melbourne. In 1840 the British Government’s Land and Emigration Commission approved procedures for the sale of “Special Survey” land allotments of eight square miles (5,120 acres at one pound each – 2,072 ha. ), chiefly as a revenue-raising arrangement. There were three such sales in the area of future metropolitan Melbourne before special surveys were stopped, they being Dendy’s at Brighton (March, 1841), Unwin’s at Bulleen and Templestowe and Elgar’s at Box Hill. All were five miles from the centre of Melbourne, as required by regulations made by the New South Wales Executive Council. Henry Dendy (1809-81) employed Jonathan Binns Were(1809-85), later a prominent stockbroker, as his agent. His special-survey land was bounded by the coastline, North Road, East Boundary Road and South Road. A town was surveyed in the Spring of 1841, defined by the crescent-shaped street layout which remains today, and subdivided allotments offered for sale. Purchasers were few, a financial depression came and Dendy’s scheme for emigration and land sales failed. He died a pauper and the Were family acquired the land for highly profitable resale after the depression. 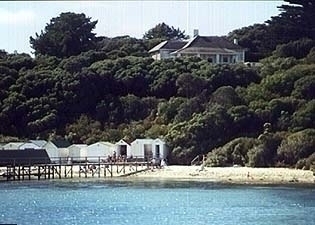 Dendy’s town site was initially marketed as Waterville, perhaps because an early settler at Port Melbourne called his area Brighton,probably after the coastal watering place in Sussex, England. However, Dendy soon renamed his land the Brighton Estate, and Dendy’s site for his own home was named “Brighton park”. Dendy’s choice of land was done carefully, avoiding the swamp at Elsternwick and consisting mainly of good undulating land. After the depression sales of land resulted in Brightonbecoming the third most populated town in Port Phillip (after Melbourneand Portland), by 1846. The farming land was sought to supply agricultural produce for Melbourne, so as to lessen imports from Tasmania. Brighton attracted wealthy residents who wanted generous building sites and the prospect ofsea bathing. BRIGHTON, (Co. Bourke) is a boroughand postal township in the parish of Moorabbin, and electoral district ofS.Bourke, situated on the E.coast of Port Phillip. There is one steam flourmill at Little Brighton, in the district, which is an agricultural one.The nearest places are Elsternwick, 2 miles N. ; Oakleigh, 7 miles W. ;and Cheltenham, 7 miles S. With all these places there is communicationby car and Omnibus. There is one insurance office in Brighton, a branch of the Australasian. The communication with Melbourne is by rail, distant 8 miles. The is a mechanics institute in the township, and 5 hotels – the Devonshire, Railway (Irish’s), Marine, Royal (Grimbly’s), and Little Brighton(Keys’s). There are 2 licensed carriers, who convey goods to and from Melbourne, Baker and Cutts. The surrounding country is undulating, and tolerably well cultivated. Brighton is a seaside bathing village, and a favourite placeof resort for pleasure and pic-nic parties; there is a fine pier, and a spacious and well-fitted bath enclosure (Kenny’s). There is a long sandybeach ; and the breeze which blows across the bay is invigorating, pureand salubrious. The buildings consist chiefly of boarding houses, whichare usually full during the summer months, and the suburban residences of Melbourne merchants and others. The geological formation of the districtis pliocene tertiary ; and the regular population numbers about 3000 persons. 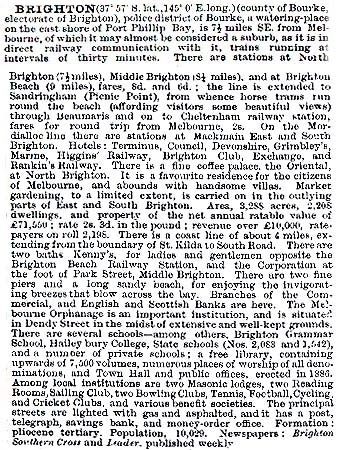 Brighton had been made a borough in October, 1863,and in 1870 parts of Elwood and Elsternwick were added. The creation of the Brighton municipality brought Thomas Bent into Brighton’s orbit as its rate collector in 1861. He subsequently was elected to the Moorabbin Roads Board (1863), became the Parliamentary member for Brighton (1871) memberof Brighton Council (1874), mayor on several occasions and a tireless developer for Brighton. He was the Treasurer and Premier of Victoria, 1904-9. Brighton developed three shopping centre – Bay Street, with 65 shops by 1887, Church Street with 17 and Nepean Highway with 16. Away from the town or village Brighton was market gardens, famed for cabbages. A volunteer corps was formed in 1860, and the BoerWar and the Mafeking relief evoked keen interest. Patriotism was prominentduring the first world war, and the erection of a war memorial at GreenPoint, Brighton Beach, in 1927 marked the last land which soldiers saw asthe ships took them down the bay to distant fields. Between 1872 and 1893 most churches built of replacedtheir buildings – Anglican (2), Presbyterian (2), Methodist (2), and Catholic and Congregational. The Anglican St. Andrews church is on the register ofthe National Estate and the Congregational church is on the Victorian Heritage Register. In the same period there were numerous private schools, of whichBrighton Grammar (1882), survives. Firbank Anglican girls’ school was opened in 1909, and St. Leonards (Uniting Church) in 1914. A primary school at Brighton Beach was opened for an orphanage in 1878 and was changed to anordinary school in 1915. The Brighton Yacht Club was begun in 1875 and gainedthe Royal prefix in 1927. In addition to the train to Brighton Beach therewas a tram from St. Kilda to Brighton (1906), closer to the coast than thetrain. In 1919 the railway was electrified. These events stimulated house-buildingas people realised that Brighton was more accessible than had been thought.The subdivisional pace quickened as Toorak and South Yarra filled up, spaciousfamily properties were broken up and motor cars improved accessibility.East of the railway line the tramline down Hawthorn Road, from Glenhuntly to North Road (1925) and onto the Nepean Highway (1937), stimulated housebuilding in Brighton East. Brighton has been noted for patriotism. Apart from the Green Point war memorial there have been the Anzac Hostel convalescenthospital, the Brighton Patriotic Society in aid of the Red Cross and theComforts Fund and the Air Raid Precautions Association. Brighton has primary schools at Middle Brighton(1874) and at Brighton Beach (dating from an orphanage school, 1878). Atechnical school was opened in 1920, later becoming a secondary college.Xavier College also has a prepatory school at Brighton Beach (1937). In1990 Brighton municipality had slightly more than one child at a privateprimary school for every child at a State primary school. The metropolitan ratio was one at a private school for two at a State primary school. Privatesecondary schools in Brighton had nearly three pupils for every one in a State secondary school. The metropolitan ratio was two pupils in a privatesecondary school for every three in a State secondary school. Brighton’s shopping centres are in Bay Street at the North Brighton railway station and at Church Street, Middle Brighton.Church Street has been likened to Toorak Village by the sea. 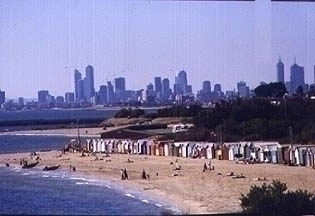 There are five neighbourhood reserves and more extensive recreational space along he foreshore.The municipal baths are near the pier and the Yacht Club and Port Phillip’slast private bathing boxes remain on the Dendy Street beach. Brighton’s municipality’s median house price wasabout twice the figure for metropolitan Melbourne. House block sizes are large, and flats fewer then other municipalities. Of its male work force,the proportion engaged in finance, property and business services was more than twice the figure for metropolitan Melbourne. The municipality has had twice the metropolitan proportion of persons over 65 years for several decades. The census populations ofthe Brighton municipality were 2,051 (1861), 10,047 (1901), 21,235 (1921),39,769 (1947) and 32,230 (1991). On 15 December, 1994, Brighton City was united with Sandringham city and parts of Mordialloc and Moorabbin cities to form Bayside city. Bate, Weston, “A History of Brighton”,Melbourne University Press, 1962, 1983.